Whistler Village is ready for winter. Sue Frause photo. What a way to start the upcoming season -- on top! Whistler Blackcomb was named #1 overall ski resort in North America by the readers of SKI Magazine. 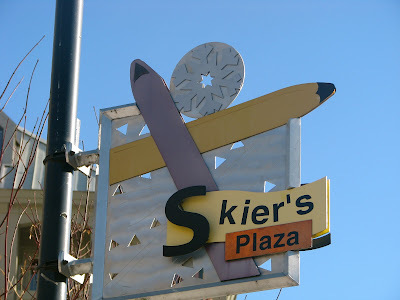 The 26th annual readers' poll ranked the top 60 North American skis resorts in the magazine's annual Resort Guide 2013. The survey includes 20,000 SKI readers, and is the longest running and most comprehensive survey of its kind in the sports industry. Whistler Blackcomb's official opening day for this year's ski season is November 22, 2012 (American Thanksgiving). With last winter's accumulation of snowfall making for a good season (1,389 centimeters or 45.6 feet of snow), and snow falling this year since early October, there are high hopes for a repeat performance. 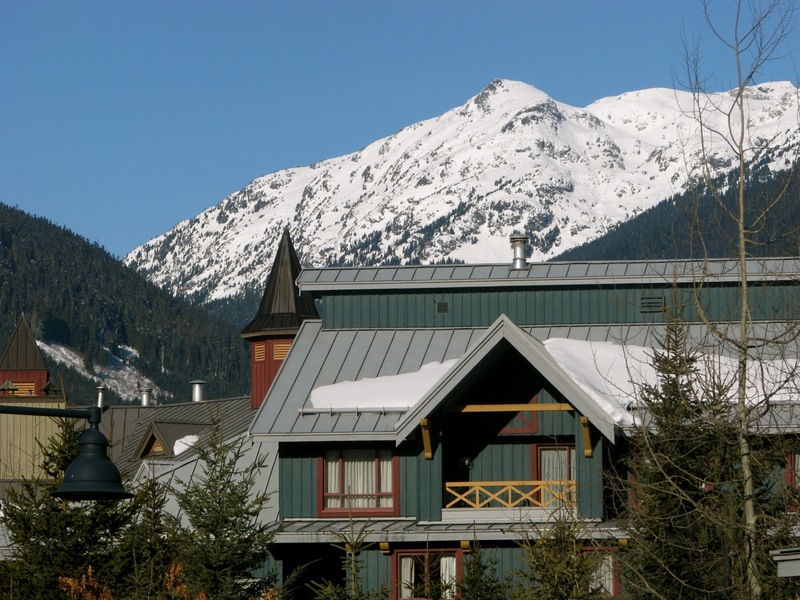 During the past decade, Whistler Blackcomb has received an average of 1,192 centimeters, or 39.1 feet of snow. 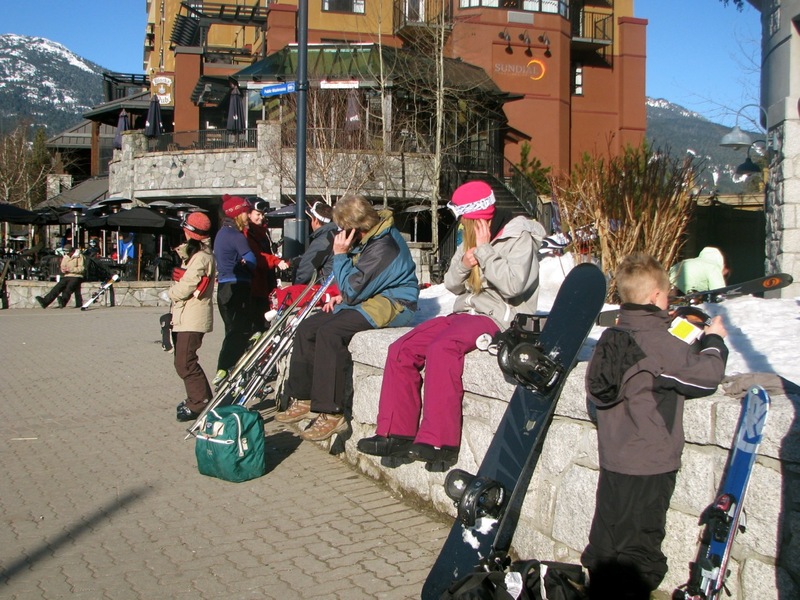 Keeping in touch in Whistler Village. Photo by Sue Frause. Both Pan Pacific Whistler Mountainside and Whistler Village Centre feature suites with full kitchens, fireplaces and Aveda amenities. They also have pool decks with outdoor heated salt water pool, two hot tubs and a steam room. Complimentary at both properties are WiFi and local calls, valet ski/snowboard storage and in-resort shuttle. 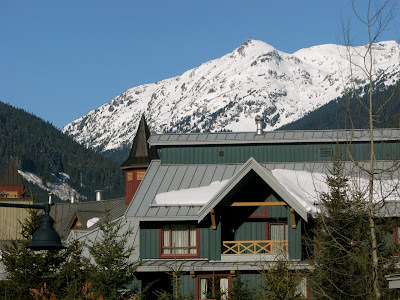 Pan Pacific Whistler Village Centre also offers a complimentary daily continental breakfast at Pacific Bistro. Dubh Linn Gate Irish Pub, located in Pan Pacific Whistler Mountainside, is offering Thanksgiving dinner on Thursday, November 22. Chef Dave Currie will prepare a special menu beginning at 5 PM that includes slow roasted BC turkey, fresh herb gravy, homemade citrus and herbs stuffing, Yukon Gold mashed potatoes, Brussels sprouts and rosemary scented roasted vegetables and pumpkin pie with fresh maple cream. Adults $27, children 12 and under $15. David Myles and Ali Milner performing at Millennium Place Nov. 24. Tourism Whistler has a full calendar of winter events. Photo by Sue Frause.